At the 2010 Beijing Motor Show Volkswagen unveiled the updated and revised version of their flagship model the Phaeton. 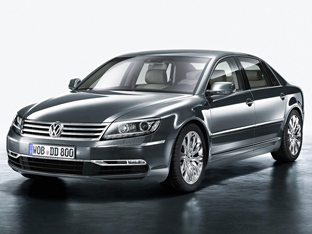 The 2011 Volkswagen Phaeton features a new face which is more in keeping with VW's latest design language. The changes include new bi-xenon headlights with integrated LED daytime running lights, and a new grille which features two horizontal bars (instead of the three found on the old model) for a more - according to Volkswagen - imposing stance. Additional exterior changes for the 2011 Phaeton include new front wings, redesigned bonnet, new front bumper, LED foglights, new taillights, new rear bumper, and a new range of alloy wheel designs. Inside, a new steering wheel and a color electronic display in front of the driver are complimented by fresh trim finishes and, for the first time on a Volkswagen, the option of Google Maps on the RNS810 satellite navigation system. 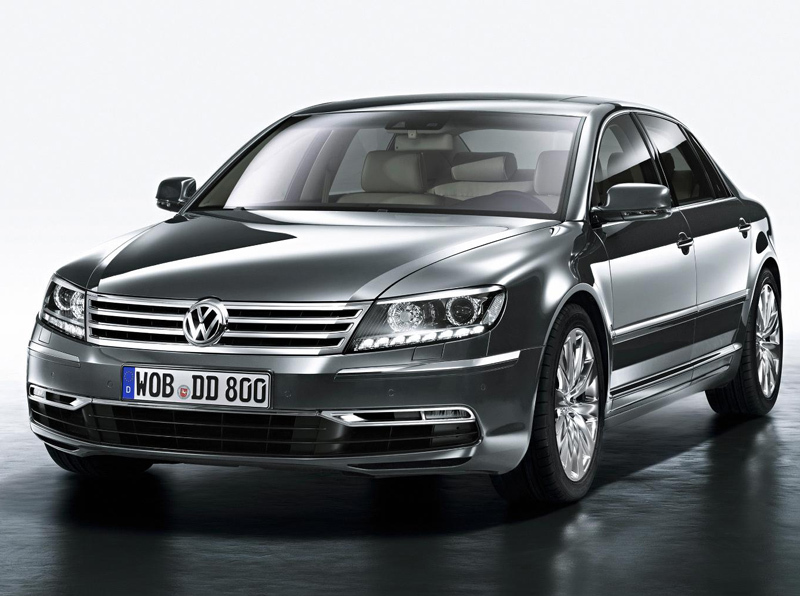 Volkswagen is quite proud of the Phaeton's air conditioning system. As well as featuring a humidity monitoring function to avoid the vehicle misting up in all conditions, the Phaeton W12's 4Zone climate control system is designed to be capable of maintaining a steady interior temperature of 22 degrees Celsius while the vehicle is at a constant speed of 186 mph in an ambient temperature of 50 degrees. You know, because we all drive like that on a regular basis! The 2011 Volkswagen Phaeton features 4MOTION all-wheel drive, Continuous Damping Control (CDC) adjustable air suspension, leather trim, satellite navigation, 18-way adjustable electric seats, a laminated finish to all glass areas and a total of eight airbags.